The Material Girl will perform Tuesday, Oct. 30, at the Sprint Center. This will be the first time a Madonna tour has made a stop in Kansas City. Tickets go on sale at 10 a.m. Monday, March 5 at livenation.com, www.ticketmaster.com and at the Sprint Center box office. Live Nation Entertainment made the announcement this morning in a press release. 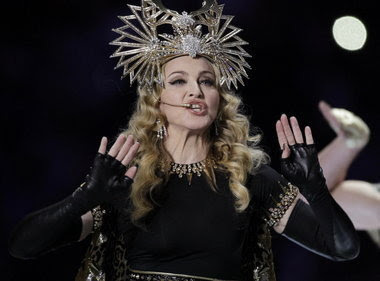 The Madonna 2012 World Tour starts May 29 in Tel Aviv. The shows will include arenas, stadiums and outdoor sights including the Plains of Abraham in Quebec, South America and Australia. The tour will stop in 26 European cities including London, Paris, Milan and Berlin. The Madonna 2012 World Tour is her ninth tour. Her first tour was the 1985 Virgin Tour. Madonna's last tour, 2008-2009's "Sticky & Sweet," grossed more than $400 million.